Money Market Tips: STOCK MARKET--109 Stocks on Additional Surveillance Measures (ASM) by SEBI – Should you exit them? 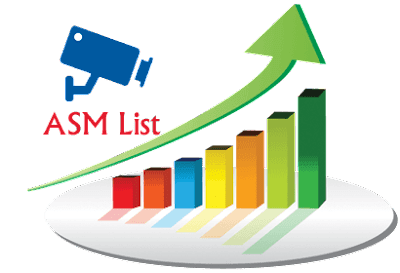 STOCK MARKET--109 Stocks on Additional Surveillance Measures (ASM) by SEBI – Should you exit them? Stocks on Additional Surveillance Measures (ASM) by SEBI – Should you exit them? Last week, SEBI has initiated Additional Surveillance Measures (ASM) against some of the stocks that were believed to be manipulated by stock brokers and promoters. SEBI has released a list of 109 Indian stock names that would be on Additional Surveillance Measures (ASM). Many of you would have invested in these stocks and might be in dilemma whether to continue to invest in such stocks or want to exit them. What are Additional Surveillance Measures (ASM) initiated by SEBI? Which are the 109 stocks that are part of ASM Framework initiated by SEBI? This article would provide some insights about this. What are Additional Surveillance Measures (ASM) initiated by SEBI? SEBI has been working continuously with an intent to keep investors safe and put a check for stock brokers / Promoters manipulation of stock prices. SEBI has directed NSE and BSE to introduce additional surveillance measures (ASM) to curb volatility in some of the stock prices. As per SEBI new guidelines and as part of ASM framework, it has released a list of 109 stocks where BSE/NSE would put them under 5% price band (upper or lower circuit) and a 100 % margin will be applicable to such stocks. As per the ASM framework, stock exchanges would review these stocks on a bimonthly basis. BSE has commented, indicating that the shortlisting of stock under the framework is only on account of surveillance and it should not be considered as disciplinary action against the company. What does this ASM mean to investors? 1) If you are the day trader or stock broker, you may see some impact as such share prices cannot go up or down by more than 5%. You would have limited profits or losses. 2) If you are an investor, you need to keep an eye on these stocks now. Due to this SEBI initiation of ASM framework, some of the stock prices have already started falling (some cases have fallen up to 14% in the last few days) as there is less scope for speculation. 3) If you are long term investors and do not believe in such short term fluctuations, you can continue to invest in such stocks. 4) One cannot apply standard rules, whether to continue to invest or exit from such stocks and it would depend on investors / day trader’s strategy. Here are the list of 109 stocks that are on ASM framework now.